Located in McLean, BOWA’s Design Center is a carefully planned space designed to streamline the remodeling planning process. It features an appropriately stocked Samples Library, collaborative work areas and a vast collection of online and offline resources to complement the physical samples as needed. 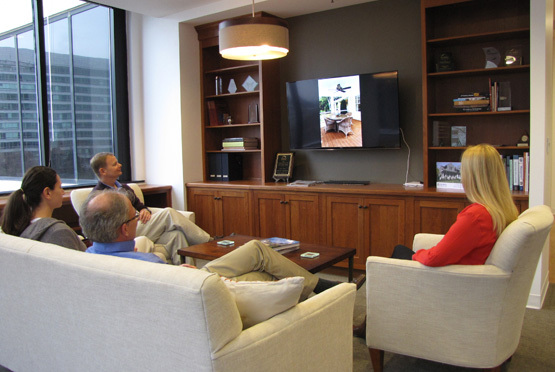 Our team of architects and design professionals draw on these resources to facilitate more designs and selections from the comfort and convenience of our office. BOWA’s Design Center has proven to be a tremendous time savings and great benefit for our clients. Streamlined Selections Process: Those working on BOWA’s design build projects enjoy a selections process that has been boiled down to a couple well-organized, intensive sessions in the Design Center. From the comfort of BOWA’s library, clients are able to review options, collaborate with the team, understand pricing and design impacts and make decisions on the spot. Typically we can get 60-75% of decisions made in the first few hours, with the balance completed in just one or two more focused meetings. A vast improvement for and great relief to our clients! 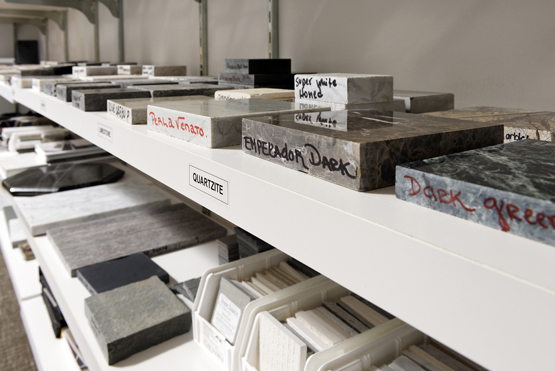 Samples Library: BOWA’s Samples Library is appropriately stocked with the most recommended and frequently requested samples of cabinets, tiles, countertops, paint and more. On hand are enough options to be thorough, without being overwhelming. BOWA’s design team draws on these samples to present options to clients during project planning sessions, and is able to quickly make substitutions based on feedback. Complementary Resources: BOWA’s architects and designers have compiled a vast collection of brochures, online resources, photo galleries and other tools to supplement the physical items available in our library and from specialty suppliers.